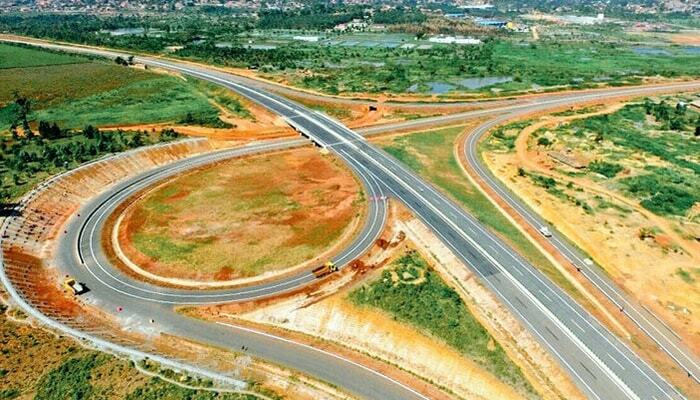 Kampala – Entebbe Express Highway is new road from Entebbe Airport, connecting to two points in Kampala city. The road opened in 2018 runs from Entebbe to Kajjansi where it divided into and one arm of it runs up to Busega Round About and another one to Munyonyo. According to tourist transfer protocol and procedure, the new road will ease movements from and to the airport in a shorter time. The old Entebbe road is known to have traffic most of the time especially with the first 10-15 kms from the city. Driver guides making transfers can now pick up guests, drive on the 32 miles (51 km) highway, connect to Busega roundabout and then continue to visit tourist attractions western Uganda. This is going to be the easiest route for those going for gorilla trekking in Bwindi Impenetrable Forest or Mgahinga National Park. The same benefits will go to those going for wildlife safari tours in Lake Mburo, Queen Elizabeth National Park or holiday relaxation at Lake Bunyonyi. Ease of transfer benefits also go to visitors on chimpanzee safaris and tours to Kibale National Park, Semuliki Wildlife Reserve or Hiking adventure in the Rwenzori Mountains via Fort Portal. But since the Express Highway connects to Busega where the Northern Bypass starts from, those driving to Ziwa Rhino Sanctuary, Murchison Falls National Park taking Bombo road direction leading to northern Uganda. The road accessible by fee is a state-of-the-art facility with two lanes divided by strong concrete pavements in the middle. Each car is charged Uganda Shillings 5000 ($1.5) to use this magnificent road to or from Entebbe. Any user is expected to direct fast uninterrupted for a good number of kilometers. Most tourists returning from safaris and tend to arrive in Kampala in the late evening hours when they have to connect to Entebbe for evening flights. Going through some parts of Kampala would mean a likelihood of checking in at the airport late or even miss a flight. On some occasions, some visitors arrive early morning hours and have to start their day long transfers to certain national parks. After going through all the airport clearance, driving using the express highway becomes the best option for recovering some lost minutes or hours. Travelers from Entebbe but are to stay at some hotels and lodges in the south of Kampala would find it simpler to connect via Kajjansi. Going to accommodations like Lake Victoria Serena hotel in Kigo, Cassia Lodge or Buziga Country Club on Buziga hill plus Speke Resort Munyonyo, a luxury facility in Munyonyo, a posh Kampala suburb would become easier. At Speedway Safaris, we pledge instant and timely transfers of our clients from Kampala to Entebbe and vice versa. Our safari vehicles are some of the best on the Uganda Tourism scene. Feel comfortable and make safari bookings with us to enjoy a lifetime holiday tour in Uganda.